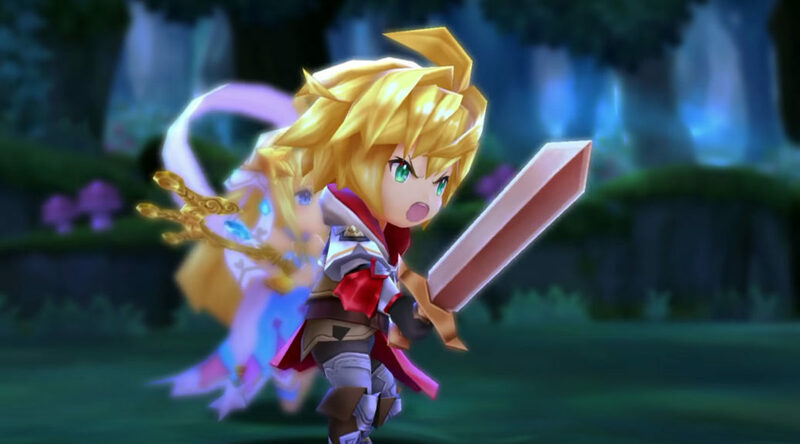 Nintendo has released a new version 1.2.0 update for Dragalia Lost on smartphones today. The update adds a few new features and improvements, such as better scrolling through sticker pages and improved usability for unbinding and upgrading weapons. A whole slew of bug fixes have also been implemented. To celebrate the latest update, all players will receive a Tenfold Summon Voucher very soon. The update to version 1.2.0 was made available at Nov 25 20:00, 2018(PT). An automatic update is scheduled to occur at approximately Nov 27 20:00, 2018(PT). To celebrate the new event, we will be sending everyone a Tenfold Summon Voucher. This announcement will be modified after these vouchers have been distributed. Version 1.2.0 brings additional features focused on the new event, as well as various improvements and fixes. Check below for details. The features and changes below have been added to the game. ・ Improved usability for unbinding and upgrading weapons. ・ The camera will no longer zoom in when you tap a completed facility. ・ During co-op play, you will no longer be disconnected if you receive low-battery notifications during play, as long as the notification is dismissed quickly enough. ・ Improved scrolling through sticker pages. ・ Wyrmprint details will now display from Stage 1. ・ When an enemy’s Overdrive activates, they will now display “Recovered from Afflictions” to make it clear that their afflictions have ended. The features and changes below will be added to the game after Nov 29 23:00, 2018(PT). ・ Adjusted the search conditions for Find a Room when playing co-op. ・ Playing for a long time caused processing slowdowns on some devices. ・ The final attack stage of the Blackwing weapon’s Black Dance skill was not defined. ・ The ability to enter otherwise inaccessible areas in certain locations has been fixed. ・ Skills that ignore damage under a fixed percentage of max HP sometimes did not ignore damage at the right percentage. ・ When participating in co-op as a guest using Find a Room, the screen would sometimes not respond when tapped, making it impossible to proceed. ・ It was sometimes possible to activate consecutive Force Strikes during jump attacks. ・ When a Helper uses a healing skill, the character you are controlling would sometimes recover more than the intended amount. ・ When two players send friend requests to one another and one accepts, the other player would receive the message “Friend request was not sent” when trying to accept. ・ When removing a friend after sorting your friend list by “Last play,” the display order would return to its initial setting. ・ It was not possible to use the left/right buttons to switch chapters on the main story’s chapter-select screen. ・ When a special symbol is included in a player name, some text would not display properly. ・ It was not possible to use traditional Chinese Mandarin Phonetic Symbols or traditional Chinese CJK characters when setting or changing your player name. Players may not be able to perform the update due to their device’s data cache being full.